Mergers and Acquisitions – What’s your plan? Warren Buffett bought the food company Heinz – this deal adds Heinz to a diverse portfolio of investments in everything from apparel to insurance, beverages and retail among others. 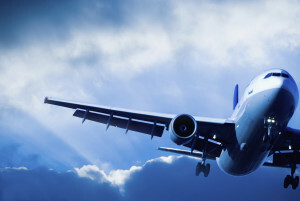 Around the same time American Airlines and US Airways announced a long awaited merger of their carriers and a further consolidation in the airline industry. Another significant market activity was also the announcement that Virgin Media was to be bought by Liberty Global. In a small window of time, several household brands have significantly impacted the business markets and this trend is likely to continue. Mergers and Acquisitions are a major part of the corporate finance world and every day there are bankers who are brokering M&A transactions which result in larger companies. Divestment and restructures that see spinoffs and carve-outs are also commonplace, and often the challenges associated with M&A and divestment or restructure are similar. Unsurprisingly, deals like these make the news just as the Berkshire group, the airlines and the media companies have here. Business reorganization is a huge legal and organizational undertaking. Many areas require detailed analysis of changes and adaptation needed both with regard to the law and when SAP is in use – the SAP technical infrastructure and application layer. One Winshuttle customer that I am working with described how their staff increased threefold as the result of an acquisition and how they were expected to consolidate their joint financial records, Accounts Payable and Accounts Receivables and vendor and customer masters in just a few days. Such extreme expectations may be abnormal but more importantly the question is, how easily can this be done? For a start, the two merging organizations are likely to have different ERP environments. On one end of the spectrum, both companies may run SAP and on the other end the merging environment may not even have a centralized ERP system. The challenge then is bringing the other environment to SAP. The transformation effort increases exponentially if the merging environment is non-ERP with no centralized processes. The decision to engage in a merger or to agree to acquisition is often a complex one. However, some very clear benefits are expected, including: increasing economies of scale facilitating the introduction of new brands on a larger or international market (Virgin Media & Liberty Global), the acquisition of new or diverse technologies (Winshuttle’s acquisition of ShareVis) , the modification of the business model or reduction of the operating costs of a business’s activity (US Airways & American Airlines). These are all typical benefits that a company can gain through merger, acquisition, spin-offs of or carve-out of a part of the business. 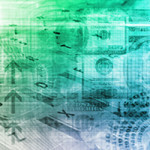 Data harmonization is a key facet of M&A for the business and CIO. Striving for one version of the truth is often the overarching objective and SAP represents a perfect place. PWC’s, The Eyes of the CFO survey, on M&A conducted in July 2011 revealed that for Finance professionals, the top three definitions of M&A success were Speed of Integration (59%), an integrated system (41%) and an integrated legal entity structure (29%). For many, transitioning from the deal into the concluded operational process looks different for different companies. After closing a decision, multiple decisions about integration need to be made -such as whether or not to integrate system. Many don’t in fact even budget for shoehorning acquisitions into existing systems and processes. In many instances business units are expected to absorb the incremental costs as a part of doing business. Reticence about consolidating systems and processes often stems from the realization that synergies that inspired the deal in the first place often don’t flow when the systems and processes continue to function independently in the various business units. Once the integration effort has begun, an integration timeline is usually presented with milestones indicating achievement goals. Often the timeline is determined by business unit similarities around business model, size, complexity and culture. First time around, M&A effort is often the most complex because those involved may never have had to do it before so there is a lot of trial and error and examination of possible outcomes. In the same PWC survey, manufacturers with OEM sales models said Supply Chain integration was the most complex area. Companies with outsourced activities and those with direct sales model stated that the revenue and quote to cash process was the most complex. The back office generally integrates quickly, usually over a period of one to two quarters. Migration of systems, customers and contracts are often the long tail in the integration effort. A number of consulting organizations and SAP themselves offer services to business that can help in the assessment and application of SAP in an M&A scenario, exercises like SLO (System Landscape Optimization). But there are many occasions or a particular level of frequency of M&A that obviates the need to rely on external consultants to make a merger or acquisition as operationally painless as possible. One of the opportunities for a business to consider is the use of Winshuttle scripts based on transaction recordings or BAPIs to upload data to SAP. Although this process is heavily dependent on remote function calls (RFC) to create the integration with SAP and this is generally slower than runs like those made with LSMW or SHDB on SAP itself. The key difference in using Winshuttle’s approach is time to value. Your ability to create integration using a self-service approach for the business, is rapidly accentuated when using Winshuttle rather than using the tech-heavy LSMW approach which typically requires an ABAP developer or systems administrator to be involved. 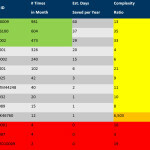 More importantly, building ABAP or LSMW scripts with a technologist may not make sense when you have only a couple of hundred objects to upload or maintain for each scenario that you need to incorporate as a part of the M&A particularly if you have to pay per object or per hour for the resource that builds, tests and runs these tools. Finally, consider the fall-out of the M&A process. In an ideal scenario, your ability to deftly identify bas or faulty data is impaired when using many of the legacy automation tools provided natively from SAP or out of your automation toolkit. 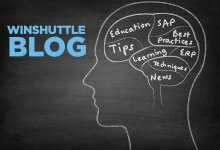 Using the Winshuttle approach for automation, errors and potential errors identified as part of the ‘validation’ phase are returned in-line with the records you are trying to create in SAP. This association of errors with data means that you can quickly correct data and progress through your M&A data harmonization activities more efficiently.